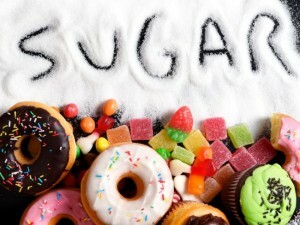 Emed > News > Taxing Sugar – A Good Idea or Revenue Raising? Taxing Sugar – A Good Idea or Revenue Raising? A so called sugar tax was announced in the UK recently as part of their 2016 budget. The Chancellor of the Exchequer (the chief finance minister in the UK) George Osborne revealed he would be imposing a levy on the soft drinks industry, which is expected to raise £520m ($982,867,445 AU). This tax will come in to effect in 2018. Osborne said the delay in implementation would “give companies plenty of time to change their product mix”. Osborne said the tax would have two bands. Drinks with 5g of sugar per 100ml will face a lower rate of tax while those that contain more than 8g per 100ml will be placed on a higher rate – though the rates have not yet been formally set. Soft drink companies will pay the tax but the UK government expects some manufacturers will pass on the costs to customers making soft-drinks more expensive and (in theory) consumed less. The new tax will affect popular soft drinks such as Coke, Pepsi and Red Bull – and could see the average price of a 330ml can rise by 8 pence (15 cents AU). The sugar tax (at this stage) will be limited to soft-drinks and not other sugary foods like lollies, pure fruit juices or milkshakes. The tax will see some of the money raised ploughed into doubling the current funding for school sports. Oliver, who has lobbied tirelessly for a sugar tax, hailed the Chancellor of the Exchequers announcement. “We did it!” he said on Instagram, saying it was “a profound move that will ripple around the world”. He posted a video on Facebook urging other nations including Australia, Canada and Germany to follow Britain’s lead. It was seemingly part of a PR stunt as Jamie Oliver just happened to be walking past Westminster where the BBC was explaining the terms of the new tax. While the presenter was on air, Oliver appeared on the right-hand side of the screen, where he performed an impromptu and joyful ‘sugar tax dance’. A study in 2015 suggested that 85% of Australians would support sugar tax revenue being spent on anti-obesity measures. This research was commissioned by the Obesity Coalition which is calling for a similar tax in Australia. Finland has had a similar levy since the 1940s, while France introduced it in 2012 and Mexico in 2013. South Africa will introduce one in 2017. Greens leader Richard Di Natale said the UK sugar levy was a “really interesting proposal”. “Why can’t we have a tax, that we know what it does is discourage unhealthy choices from people, and that money could be reinvested back into the health system?” he said. Expect the soft-drink industry to strenuously argue against the levy given thick-shakes, milkshakes, smoothies and juices can all contain a lot of sugar but won’t be taxed under this measure. Canegrowers Queensland chairman Paul Schembri said a sugar tax would “cascade” back to producers. “We will do everything in our power to resist it,” Mr Schembri said. The surprise yet progressive announcement by the British coalition government has been widely applauded by both sides of politics. Sugar consumption is connected to the obesity epidemic of our population and soft drinks are a big part of this equation. By making it less financially attractive to purchase sugary products, consumption will (hopefully) decrease and healthier cheaper options like water will become the norm. A number of other countries have this tax in place, Australia – it is now your turn! Step Away From The Soft Drink – It’s Killing You! I think it’s time people started taking responsibility for their own health and wellbeing. Tax isn’t the answer. People who want to continue a bad lifestyle will continue to do so – just like smokers. A sugar tax could be a bad precedent. What else might they want to tax? There have been people who’ve wanted to tax saturated fat. What if they decide to tax something that is in fact good for people.